WABC By The Numbers | It's Better Than Working For A Living! There are many ways to look at the time we spend at a job, but for many, it all boils down to the numbers. As it gets towards the end of my days here, I take a look back at my years at WABC, by the numbers. 8/7/76 – This was my first day in the employ of the American Broadcasting Company. I was hired as Vacation Relief Engineer #8, in the WABC/WPLJ Engineering Department, making $251 a week. As all new VRs (Vacation Relief) did, I was scheduled on the overnight, and since the ABC/NABET week started on Sunday, I reported for my first day at WABC at 11:45 PM. I remember that Hurricane Belle was approaching NYC that night, and it was raining and windy as I made my way from the E Train to the ABC Building at 1330 Avenue of the Americas. 8A….WABC’s main air studio at 1330 Avenue of the Americas was 8A, and on my first night at work, I helped pull the studio apart. It was about to be rebuilt as the first WABC/WPLJ studio with a Rupert Neve custom board, as designed by George Berger. It was the place where the WABC Magic happened, and the place I loved being! 12/24/76 – The date my original VR assignment ended. Yes, I was terminated on Christmas Eve of 1976. The best thing about that? The memo detailing my termination date was delivered to me one afternoon when I was running the board in Studio 8A for Dan Ingram, and that day I was the subject of a classic Ingram Show close, where I played the part of Tiny Tim in a Christmas Carol with ABC being Ebineezer Scrooge! 1977…..The year I made the least amount I’d made since college. I was hired that year on 4/16/77, and on 5/16/77, NABET went on strike against ABC. We spent that summer on the street in front of the ABC Building, and didn’t return to work till the end of October! Total made for 1977 = $4500. 7/3/77…The day I meet the love of my life! The middle of a 5 month ABC/NABET strike; invited to a July 3rd BBQ at Bill and MaryAnn Epperhart’s house; I help Susie set off some soggy fireworks; my life is set! 1978….The year I thought I was finished at ABC. After working for the first couple of months of the year, WABC Chief Engineer Win Lloyd sent me over to see Paul Stewart, the WOR Chief Engineer, and I started working there in late February. They’d had a delay in studio construction, and had come up against a union situation and needed some help ASAP, and WABC CE Win Lloyd “loaned” me and Mike Phillips to WOR. I finished up at ABC on 2/24/78, and started at WOR the following Monday. It was not ABC, but I’d grown up listening to WOR with my folks. I met some great folks, made some life long friends, and made the most of the situation. 10/15/78 – After a summer away from the 8th floor of the ABC Building, on Monday 10/9/78, I am sitting on the board in WOR’s Studio 2, running the Arlene Francis Show, when WOR Chief Engineer Paul Stewart comes in, stands behind me and tells me that the upcoming Friday would be my last day at WOR. I guess the shock on my face told him that he knew something that I didn’t, and he comforted me with the info that Win had called him and asked him to let me go that day, because I was going to start at ABC the following Monday as a permanent employee! So, although my first work day as a real member of the WABC/WPLJ Engineering Department was Monday 10/16/78, my employment started officially on Sunday 10/15/78! 8/27/77…..My NABET Seniority Date. I know….this is out of order, but continue reading, and you’ll see why! So, starting with my hire date, they subtract all the time I’d worked since my first day as an employee in 1976, and had I worked straight through, this is the date I would have originally been hired. Mostly had to do with where I ended up on the ABC/NABET Seniority List should there ever be any layoffs. On the 1981 ABC NY Seniority List, that date was good enough to land me 641 out of 994 New York Engineers. Flip ahead about 10 years and let ABC separate seniority lists by department, and it placed me #13 out of the 33 NABET Engineers in all of radio. Today, it probably makes me one of a handful (with my departure, there is only one NABET Engineer on the 17th floor). 12/26/78…George Michael announces on WABC that I asked Susie to marry me, and that the poor girl said yes! 9/29/79….Susie and I become one, surrounded by many of my ABC Family, including WABC’s Dan Ingram and WPLJ’s Tony Pigg. Our ABC friends give us a $1200 Sony Betamax. Welcome to the VCR era! 9/29/80….As the clock moves up to 6 PM, Dan Ingram is looking for a topic for a show close when I remind him that a year ago he was at my wedding. The close that day become a tale about him losing his car at our wedding! 7/3/81….The 4th anniversary of the day that Susie and I met, and the afternoon of Dan Ingram’s 20th Anniversary Show on WABC, which George Musgrave and I engineer. 5/10/1982….The day the music died. 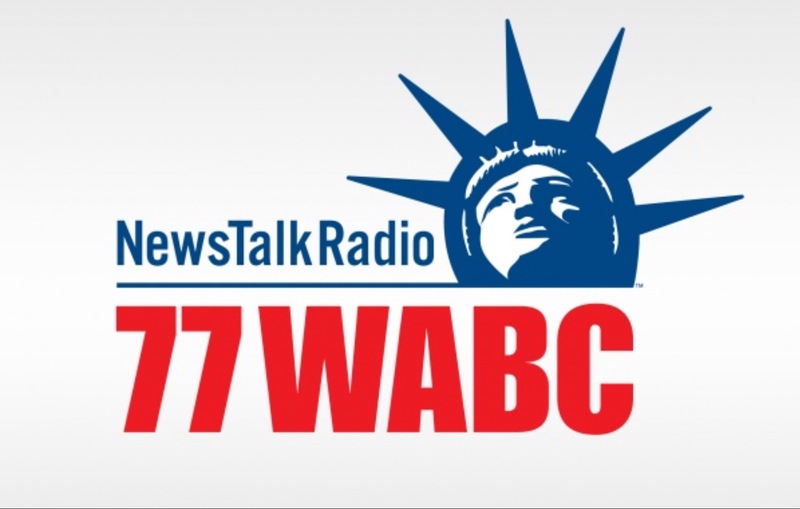 At noon, WABC Musicradio 77 is gone, replaced by WABC Talkradio 77. Summer of 1982….My pregnant wife working the evening shift as a nurse, and I am offered to work as the WABC Day Group 7, while Saul Rochman tries a summer at ABC TV. From May to October, I’m working Monday – Friday days, seeing Susie here and there. 11/3/82….William Ryan D’Elia joins our world…Susie and I become a Mom and Dad! WABC/WPLJ Chief Engineer Bob Deitsch wakes me up very early on the morning of 11/4 wanting to know what we had! 7/23/83…The day I became a NABET Group Seven. A supervisory engineer..the highest union position one can attain at ABC. 7 years into my stay at ABC, I get to the job that I would do for the rest of my time at WABC. Commercials, production, air checks, special projects, Monday through Friday work schedule…the die was cast! My salary….$774 a week! I get taken to lunch at Ben Benson’s Steak House by Win Lloyd and Bob Deitsch, and Susie and I have dinner at the Top of the Park restaurant in the Gulf and Western Building, and a hansom cab ride to celebrate. 11/20/86….I become the father of twins! 3 D’Elia kids! WABC’s Bob Grant announces the birth of Krissi and Kenny to the world, shortly after their birth at 4:13 and 4:15 PM. 1/3/86…Cap Cities buys ABC. WTF???? Eight of us from the 8th Floor go out to lunch at a local Italian restaurant, and between us, have 8 carafes of wine….I remember little of the day after lunch! 7/4/88….The Rush Limbaugh Show debuts on WABC at 10AM, to be followed 2 weeks later by nationwide syndication, and a friendship blooms between Rush and the D’Elias. This entry was posted in Radio Stories, Real Life and tagged Arlene Francis, Ben Benson's Steak House, Bob Deitsch, Cap Cities, Dan Ingram, George Michael, George Musgrave, Mike Phillips, NABET, Paul Stewart, RUPERT NEVE, Rush Limbaugh, Saul Rochman, Tony Pigg, WABC, William Ryan D'Elia, Win Loyd, WOR, WPLJ. Bookmark the permalink. What’s amazing reading your post, is realizing how much of these things I remember living through, but from the outside, via a radio speaker. Now I’m seeing it happen from the inside. After all these years. Amazing! Thank You. Radio Stories – You can go back home, again and again and again!